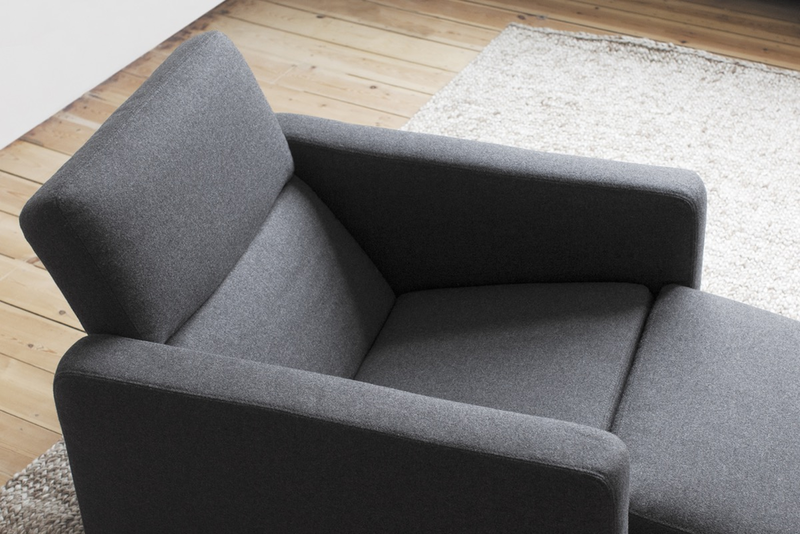 The compact and affordable combined armchair and chaise-longue. Tool-free assembly. Made in Europe by OBJEKTEN SYSTEMS.